So we can have one that's just perfect for YOU! Ask about our Scratch-&-Dent Sale* on select Canoes, Kayaks, Paddle Boards. WE call these CLOSEOUT or CLEARANCE models... Scuff marks are very common in shipping certain models from factory to our stores. New 2019 models arriving daily. We have ALL the BEST Brands in one place for one stop Shopping. ....please call or email us for a quote. "For People Who Know and Love Canoeing"
Materials Used: Royalex, T-formex, Tuff-weave, Kevlar, Carbon fiber. Wenonah has dozens of models to choose from; including many Solo and Tandem models. Beautiful wood trimmed models or if you prefer, the economy of the aluminum or vinyl gunnels. Cane seats, Web seats or tractor-style bucket seats are available. * Remember, our new Wenonah canoes come with our Exclusive Lifetime Warranty for defects in materials and/or workmanship! See what you're missing....Come Paddle a Wenonah! 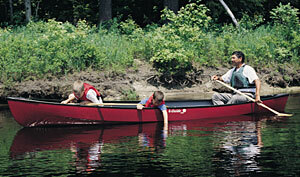 For our inventory see our "Canoe Inventory" page of our website. BELL NorthStar canoe material options; WhiteGold, StarLite or BlackLite. For our Bell NorthStar inventory see our "Canoe Inventory" page of our website or better yet, visit our stores! The oldest name in canoeing. Oltonar Royalex or Polylink3 which are both very sturdy and long lasting materials. Old Town also makes a few box store grade models from single layer plastic. Our staff is experienced enough to show those who care the differences. Our own Oak Orchard line of canoes is our own brand with unique models. 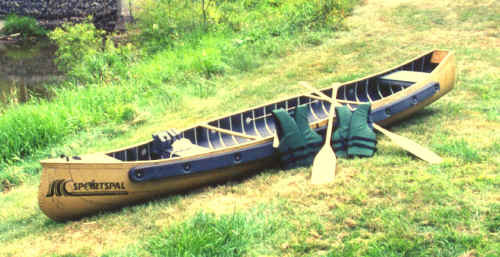 For our inventory see our "Canoe Inventory" pages of our website. 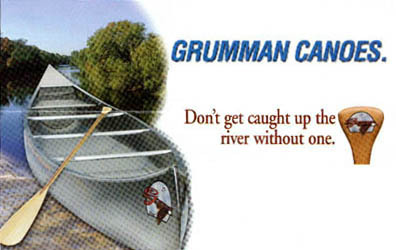 Today, Grumman canoes proven designs remain unchanged. These canoes have truly withstood the test of time. Sportspal canoes are rugged, light and extremely stable. 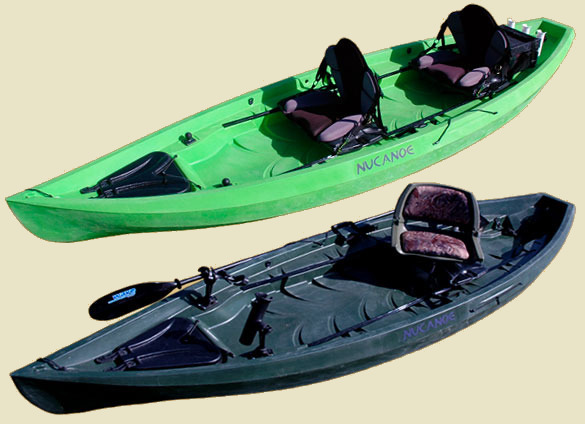 Sportspal canoes are great for sporting because they emphasize tons of stability but are also durable and light weight. Nova Craft Canoe is one of the few brands that offers proven traditional designs in modern materials such as Tuff Stuff, Blue Steel, fiberglass and Kevlar aramid. Materials used: fiberglass, Kevlar, plastic. 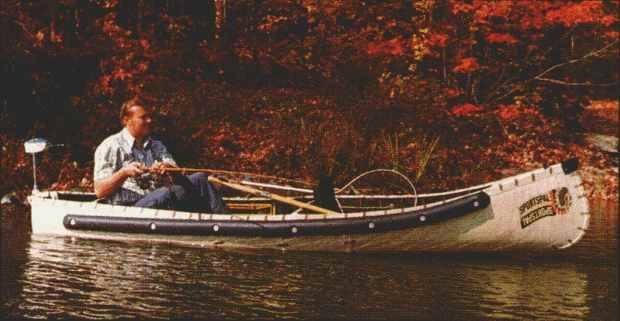 Michicraft Canoes: Aluminum canoes made in Michigan, USA. At the boundary between canoes, kayaks, and small boats, lies the Frontier from NuCanoe. It is full of opportunities, enabling new adventures and delivering unique experiences. Great Pedal boats at an outstanding price! We've sold other pedal boats in past years but have settled on "Contour"
as the best value by far. *tougher hull material lasts much longer. 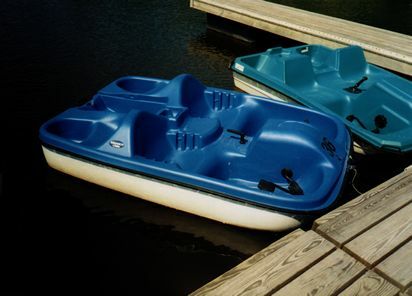 click above for more details on CONTOUR pedal boats. but they'll never match our service or experience. the great canoe brands you'll see at Oak Orchard every day. Note: If the model you want isn't one we normally stock we can always order it for you.